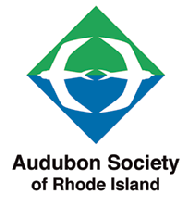 The Audubon Society of Rhode Island, independent and unaffiliated with the National Audubon Society, was founded in 1897.Today, with 17,000 members and supporters, the Audubon Society of Rhode Island is dedicated to education, land conservation and advocacy. Audubon independently protects or owns almost 9,500 acres of woodlands and coastal property embracing diverse natural habitats. More than 33,000 students from area schools participate annually in our educational programs. A voice in statewide ecological issues, the Society actively fulfills its environmental stewardship through preservation and protection of Rhode Island's natural heritage.